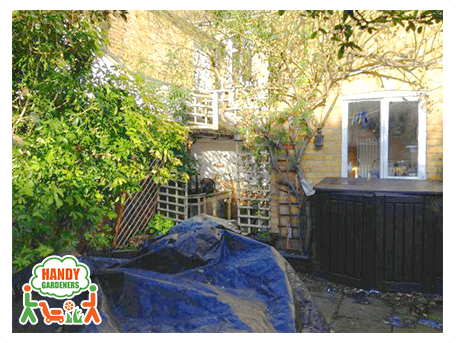 Our new clients got in touch with us not to do a makeover of the garden but to gently give the backyard a fresh look. Their garden was lovely; however it needed just a little touch from our professional gardeners in order to look even lovelier. Step 1. Old fence removal. 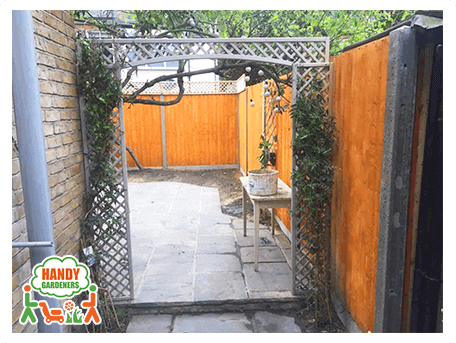 The first thing that our landscapers did was to remove the old fence and panels in order to be able to install the wooden fence. 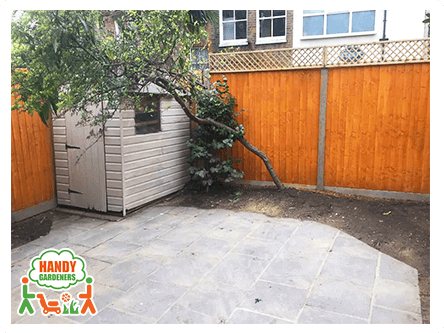 The decision of having a wooden fence is not coincidental as it adds privacy and classic style to any outdoor space. Step 2. Wooden fence installation. 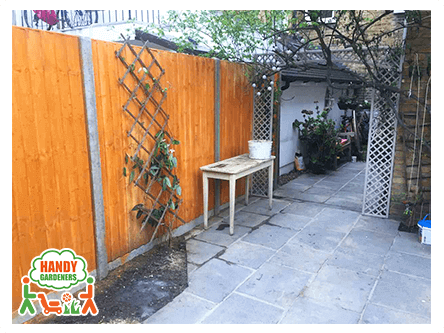 The job required 10 fence panels, 12 posts and 10 gravel boards to be installed. The most important thing was to determine spacing for the fence posts. Our gardeners had to decide how far apart to set the fence posts. The corner posts were set first. To align all of the posts in between they had stretch a line from each corner post to work as their guide. Once this was done, our gardeners made sure that about 1/3 of each post was buried in the ground in order to endure heavy weight and high winds. Step 3. Bottom and top rail installation. Laying the gravel was the final touch. After spreading the gravel the hardworking gardeners made sure it was leveled and spread evenly. After we finished with the work, the client checked everything carefully and was amazed of the results. Step 4. 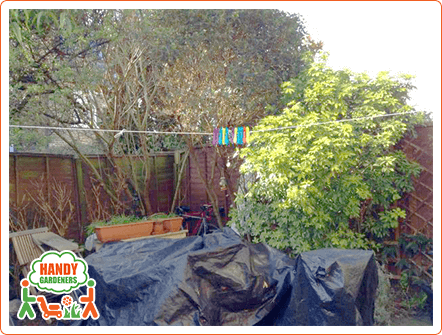 Garden Tidy Up. 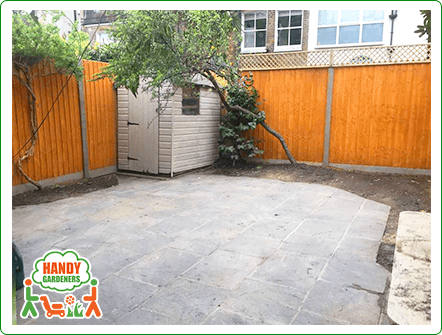 In order to be able to work easier and faster, the gardeners tidied up the garden. There were a few shrubs and bushes that needed to be trimmed back and cut into shape. Our clients have a beautiful rose bush which we pruned gently in order to grow healthier. Small trees and shrubs were completely removed in order to make space for the other plants to grow and blossom. Step 5. Slab Repair. Near the garden entrance was a slab which was not fixed properly and was moving around every time someone stepped on it. 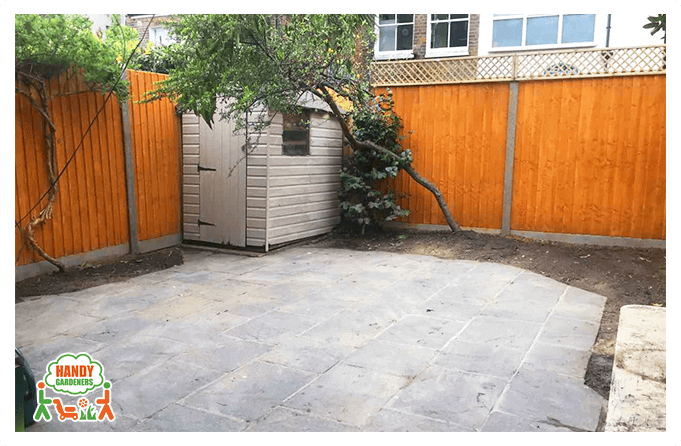 That is why our clients wanted us to include in the service a single slab to be repaired and we did, however it also needed to be raised with one level in order to fit perfectly with the entrance and the garden. Step 6. Slabs Repointing. One of the last things that we have done in this garden was to fill the gaps between the tiles. That gave an overall better look on the outside patio and made it look like freshly laid again. The final touch here was to paint the shed and the fence. Our team came prepared with all materials and tools to perform the whole project. They have left the garden with no rubbish from the job. The garden was neat and tidied up and everything was accomplished for just 1 day!